Abstract: Up to now, Airwheel has launched a wide range of X-series, Q-series and S-series. 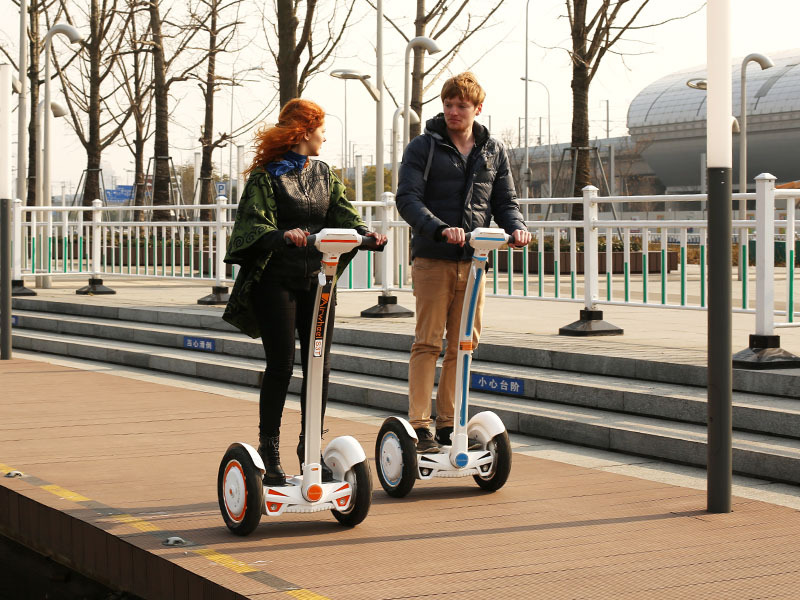 The latest model, self-balancing scooter S3 is catching on across the globe. Airwheel was established in 2013. So far, it has developed a wide range of electric unicycles and twin-wheeled scooters. Of these models, the intelligent self-balancing scooter S3 is the newly launched one and discloses the latest science and technology. As S3 becomes increasingly obsessed by European and American people, it is perceptibly reshaping our lifestyle and adding spice to our life. Airwheel self-balancing scooter S3 serves as a personal transporter prevailing worldwide. Its popularity arises from various advantages. For instance, it is powered by a Japan-made lithium battery core, which produces no emissions and caters to the current low-carbon trend. Superior performance is also one of its advantages. Weighing only 20kg, it can carry a maximum load of 120kg to travel dozens of miles. It suffices to be termed as an excellent transport. S3 is equipped with a cutting-edge maglev motor, a Japan-made Li-ion battery core and a self-balancing chip. Besides, aerospace attitude control theory, fuzzy software algorithm and gyroscope system are introduced to S3 to maintain balance by leaning forward and backward. Riders can steer the vehicle to go forward, accelerate, decelerate, and brake, etc. by leaning forward or backward. The riders achieve balance by slightly tilting sideways in the similar way to ride a bicycle. With enhanced brake and upgraded acceleration performance, the control of the vehicle is utterly depended on body movements. 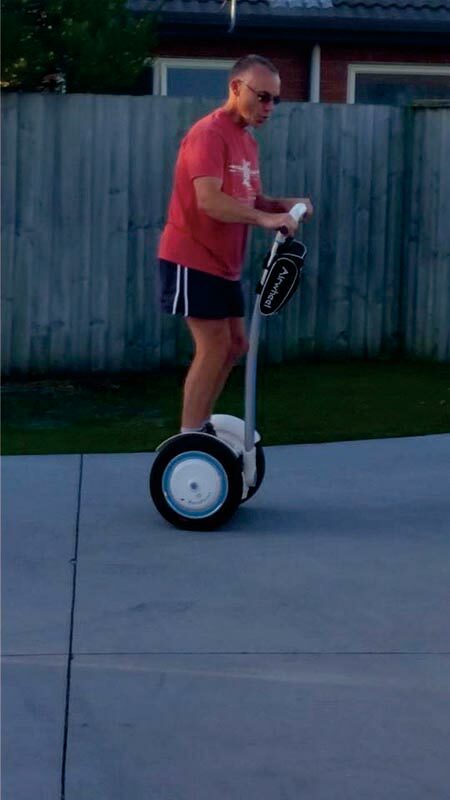 In addition to the purposes of entertainment and fun, so far, the intelligent self-balancing scooter S3 is widely applied to various occasions. For instance, it works as a commute vehicle in factory warehouses, parks and squares, or is used as a patrol vehicle at airports and railway stations, or serves as a sightseeing vehicle in scenic areas and so on. In reality, the intelligent self-balancing scooter S3 only begun to catch on worldwide as a personal vehicle in recent years and there remains potentials to tap. To learn more about Airwheel S3, you are welcome to go to Airwheel website: www.airwheel.net. In the near future, Airwheel is supposed to launch more high-tech models that are worthwhile to look forward.